Born in Birmingham in 1978, Idris Khan received his MFA from the Royal College of Art in 2004. Khan exhibits widely both in the UK and internationally and has works in many major collections including Centre Pompidou, Paris and the Solomon R. Guggenheim Museum, New York. He lives and works in London. Working with appropriated text, imagery and music, Khan explores the history of culture, authorship and time. To create his works, Khan re-photographs a variety of material in series and digitally layers the results. The opacity and translucency of each layer is considered and adjusted by the artist to form a quivering composite image. 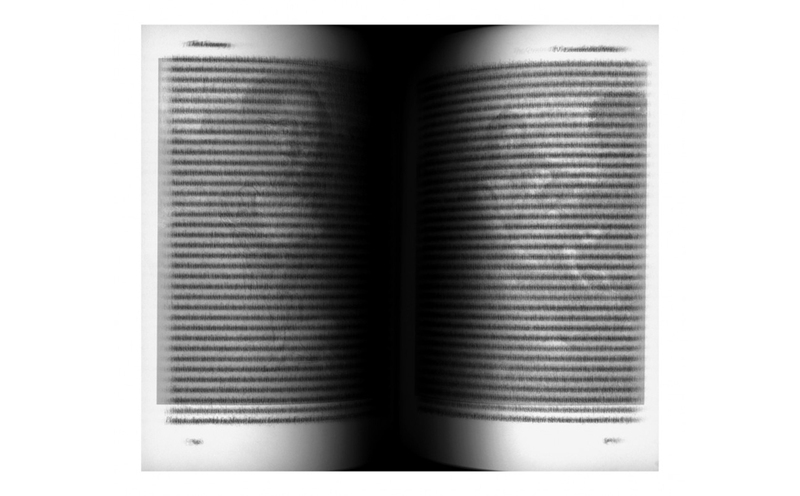 In Sigmund Freud’s ‘The Uncanny’ (2006), the ghostly impressions of Leonardo da Vinci’s ‘Mona Lisa’ and ‘The Virgin and Child’ emerge from beneath the dense layers of text. ‘The Uncanny’ was an essay written by Freud in 1919 in which he describes how something can be strange and yet familiar. In Khan’s ‘Uncanny’, a deep dark gutter at the book’s spine draws the viewer deeper into the image, reflecting the sense of menace explored within the text. 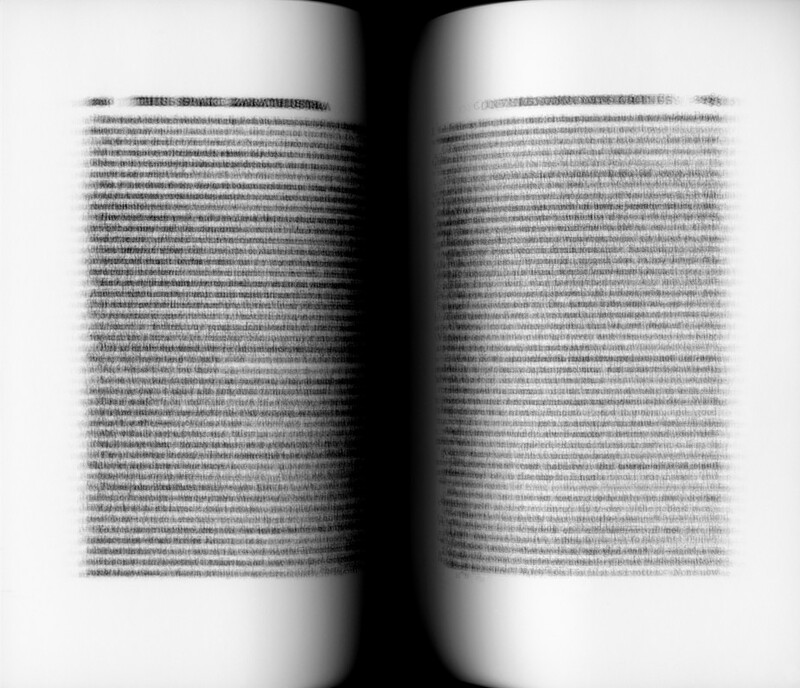 Thus Spake Zarathustra…after Friedrich Nietzche (2007) is an accumulation of pages from Nietzsche’s dense, esoteric text on morality and the absence of God. The gaping black gutter at the centre of the book alludes to these themes of lack and godlessness. Looking for Idris Khan who studied engineering at Glasgow university. Friend of Sidney Scott.